Weiners, wursts and kielbasa as far as the eye can see. Gene’s is the ultimate European-style market in the former Meyer Delicatessen spot, plus it's a grocer, baker, beer, wine and liquor seller, deli, butcher and importer of everything from Kinder chocolates to pflaumenmus (plum butter). All of that takes a backseat to the sausage though—more than 40 housemade varieties from Alpine (a kielbasa with extra garlic and smoke) toZywiecka (a smoked pork and beef Polish with a sharp, peppery kick). 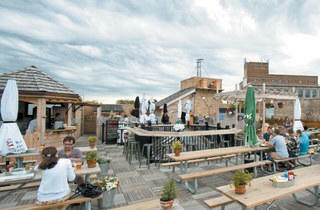 In warm weather, head for pitchers of Pils and grilled brats on the rooftop beer garden. El stop: Brown to Western. Bus: 49, 81. While I love Gene's, I also hate Gene's because I can't pop in for "just one thing" without leaving with at least half a dozen other fantastic, delicious items I didn't even know I desperately needed. 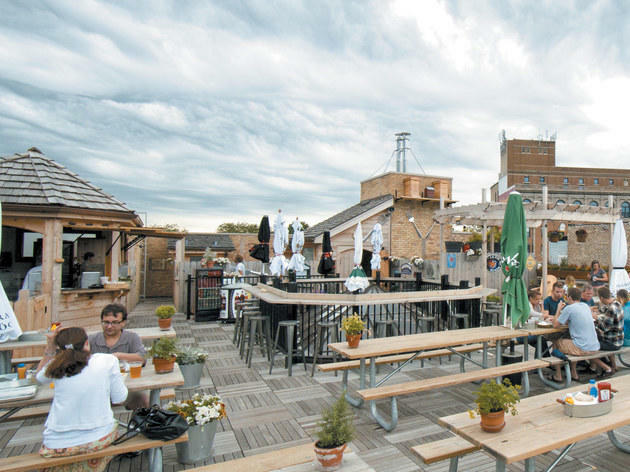 In the summer, there's no better place to relax with a beer than their rooftop. And probably with some encased meat, too. This is Chicago, after all. My favorite way to spend a sunny fall day is enjoying pretzels, sausages, and wine on this lovely rooftop! Great for (well-behaved) kids, too. One of our absolute favorites is hanging out at the rooftop biergarten on a nice day. They also have a great meat selection and pre-made Eastern European foods. Gene's brings me a little piece of home in Chicago: Wisconsin, where beer gardens are the standard and sausages are plentiful. It's great for shopping for friends and family back home and proving that Chicago does indeed excel at foods Wisconsin claims as exclusively their own (at least in the US).